This project was inspired by the paradoxical idea of improving the environment through the presence of large-scale architecture. 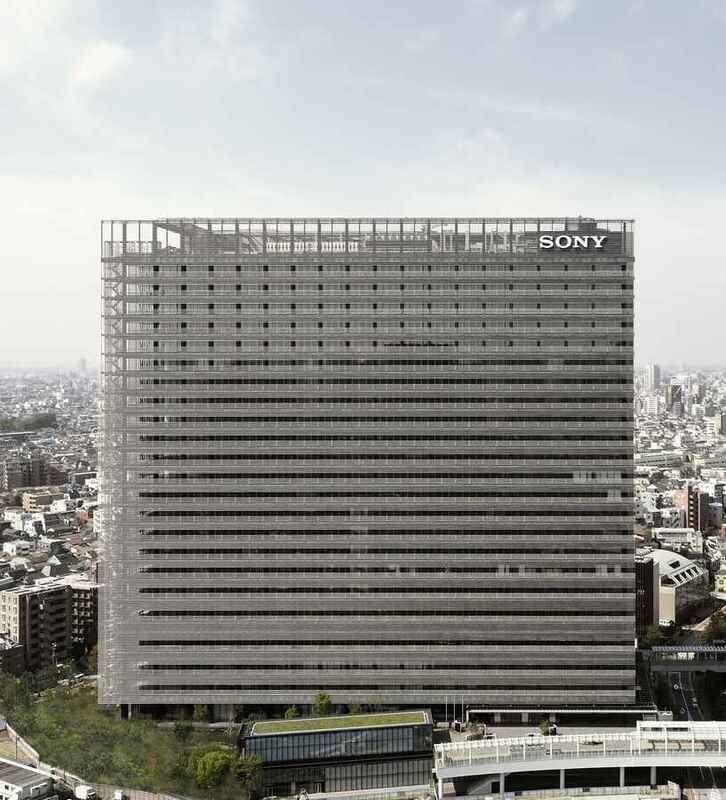 The Project is an office building for Sony’s R&D department, which takes the form of a thin vertical plate to ensure good views. More importantly, the form minimizes the heat island effect by positioning its narrow sides against prevailing winds, thus allowing the breeze to flow in from Tokyo Bay without hindrance. 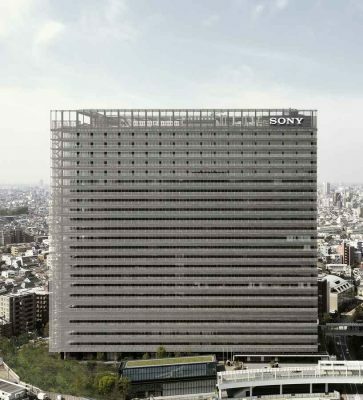 The Sony City Osaki building was then conceived as a massive cooling devise that performs in much the same way as a natural forest. This building is the first structure to install BIOSKIN, a new exterior system based on the principles behind “Sudare’’, or traditional Japanese screens usually made by thin bamboo. BIOSKIN reduces the heat island effect by cooling the exterior of the building with rainwater collected from the roof area by feeding it through special porous ceramic pipes. As the water evaporates, it reduces the surface temperature of the ceramic pipes subsequently cooling the adjacent air. Based on experiments and simulations, it is estimated that the temperature of the surrounding air can be lowered by about 2°C. In addition to natural cooling effects, the BIOSKIN “Sudare’’ screens out direct sunlight, reducing air-conditioning load for greater decreases in CO2 emissions. This building has the balconies for emergency use around the work place. The doorways to the balcony will serve also as valid ventilation in case of power outage. The visualized safeness within the balconies would not only increase safety of the workers in an emergency, but will relieve the workers from anxiety about safety at all times.